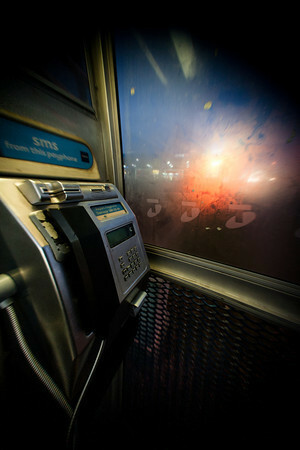 Early in the mornings, the perspex walls of the payphone cubicle are fogged up. At any time of day, the petrol station has a very bright priceboard. Combine the two and here we are. This is what I was after, although in my mind the lights lit up the window a lot more. Phone booth? Isn't that a urinal?